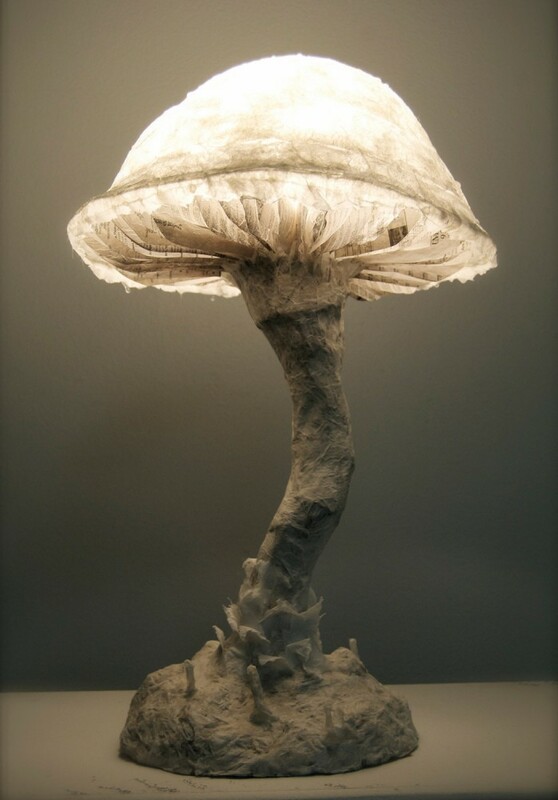 Paper Mache Fungus Mushroom Lamp made from recycled paper, Elmer’s glue, and hot glue. Painstakingly handcrafted with attention to detail and texture. Suitable for placement on a table, desk, or low shelf. LED light and cord already installed and included – this gives off a great amount of soft warm light for hours on end without danger of overheating. 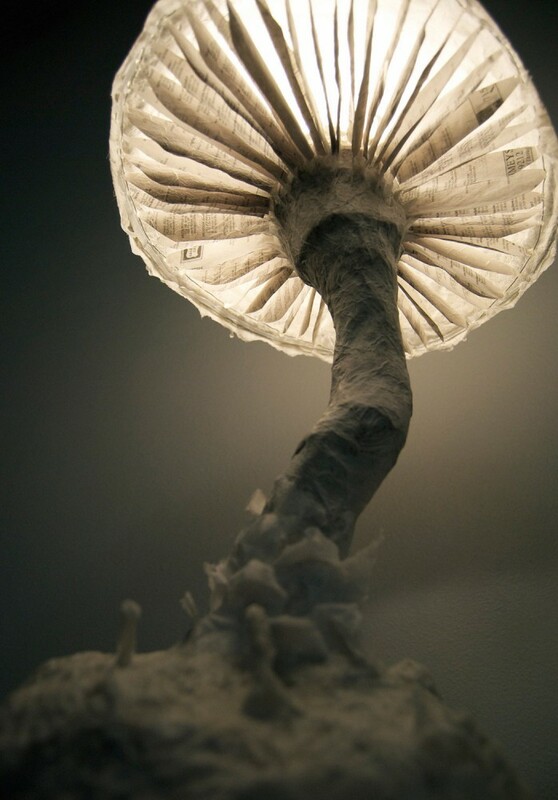 The mushroom cap is removable to easily replace bulb. Fairly lightweight and measurements are approximately 20″x12″x11″. 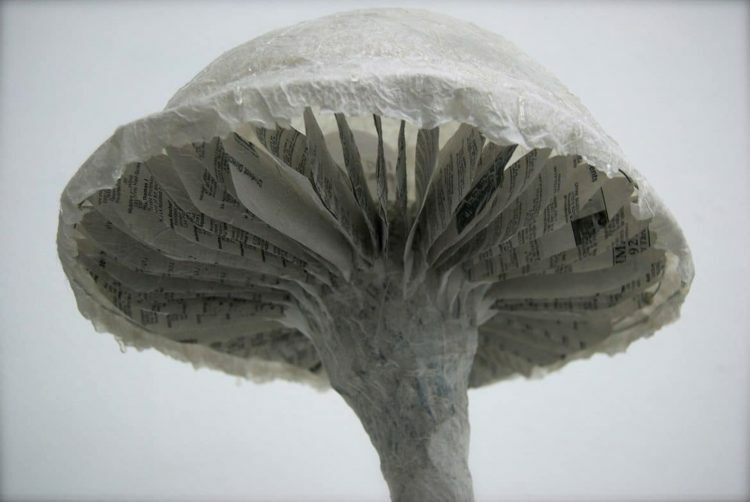 This sculpture is one of a kind and ready to ship in 1-3 business days. Hola, queria saber el precio de esta lampara.es maravillosa! !